We’re into the knockout stages and surely things are getting serious now? There are four games being played on Saturday, with the remaining games of the round taking place on Sunday. The Saturday sees the host nation and the favourites involved, so this is likely to be the day that draws in the biggest viewing figures from around the world, even if the American fans are hardly switching on in huge numbers. Of the four games being played on Saturday, Bwin have a clear winner in three of them, which means if you are looking for a close contest, the France v Croatia game may be the one you want to look forward to. The site is offering odds of 4.75 on Dominican Republic making the quarter finals which means that Slovenia are the favourites at 1.18. These are hardly attractive odds but of course, it is the next game that really shows you what unattractive odds are. USA are placed at 1.01 to overcome Mexico on their relentless march to the final. If you fancy the Mexicans to cause a massive shock, Bwin are offering odds of 34.00. France slightly have the edge over Croatia according to Bwin with odds of 1.70 on the French and 2.10 on Croatia. The thing is though, France were hardly convincing in booking their qualification spot so this could easily be a game that goes either way. The final game on Saturday returns to being a straightforward affair as the host nation also has odds of 1.01 in their game against Senegal. If you think that Senegal can pull off the surprise of the century, you will find odds of 34.00 at Bwin. While you won’t convince fans of USA and Spain of any dullness surrounding the event so far, there is a feeling that the predictability of these teams passage throughout the tournament has taken the edge off of the tournament slightly. It will be an amazing final if both teams live up to their billing, but the gulf in class has been worrying. There is also a lot to be said for the fact that neither Spain nor USA has hit anything near their peak in this tournament yet. As they progress, there is obviously hope that tougher challenges will come, but any real opposition for the top two teams may need to wait until the semi-finals. This stage of the tournament also sees new venues coming to the fore. 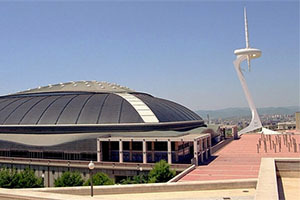 We have said goodbye to the four venues that hosted the group games and now we welcome the main hubs of Spanish sport. Of course, if you tell people in Barcelona that they are a hub of Spanish sport you run the risk of being punched, with pro-Catalan feelings running high in the city at the moment. Regardless of this, the knockout games will be played in Madrid and Barcelona, with the two cities splitting each of the rounds equally until the Final round (and third and fourth playoff), which is being held in the Spanish capital, Madrid. These games will also provide the teams for two of the games in the quarter-final. In the top half of the draw, the winner of the Spain v Senegal game will play the winner of the France v Croatia game. According to Bwin odds, this will see Spain take on France in the quarter finals, and of course, these two sides met in the Group stages. Spain defeated France by a score of 88-64 so if this is how the quarter final pans out, the host nation will feel confident of making their way through to the semi-final. In the bottom half of the draw, the winner of the Dominican Republic v Slovenia game will take on the winner of the USA v Mexico game. If the bookmaker odds are to be believed, we will see Team USA take on Slovenia, which is not a repeat of a group game, so that will bring something new to the table at the quarter-final stage. This quarter final is being played in Madrid on the 9th of September while the potential Spain v France game will be held on the 10th of September. There will be some people saying that giving the host nation an extra rest day in between games compared to America is a bit unfair, but if USA get to the final, they will have an additional rest day compared to their opponents. That is the sort of thing that could make a massive difference so before any US basketball fan moans about favouritism; they should look at the big picture.